作者: Eddy Suprapto on 26 October , 2017. South Korean diplomacy with Southeast Asian Nations had stopped for four years. Now, South Korean President Moon Jae-in will bring diplomatic breakthrough. President Moon Jae-in will be visiting three ASEAN (Association of Southeast Asian Nations) countries next month—namely Indonesia, Vietnam, and the Philippines—for the first time since assuming office May of this year. President Moon’s visit to Indonesia on November 9 will kickstart the three-nation tour of the region where he is scheduled to meet his Indonesian counterpart, President Joko Widodo, and is expected to hold a summit in the Indonesian capital of Jakarta. Next on the agenda are scheduled visits to Vietnam for the Asia Pacific Economic Cooperation Summit on November 10 and the Philippines for the East Asia Summit and ASEAN Plus Three Summit to be held two days after. President Moon has vowed to upgrade his country’s relations with Indonesia and other Southeast Asian nations to the level of its ties with the world’s most powerful countries. President Moon also expressed hopes for enhanced economic and diplomatic cooperation with Indonesia during a phone call with President Joko Widodo, which his office announced last week. 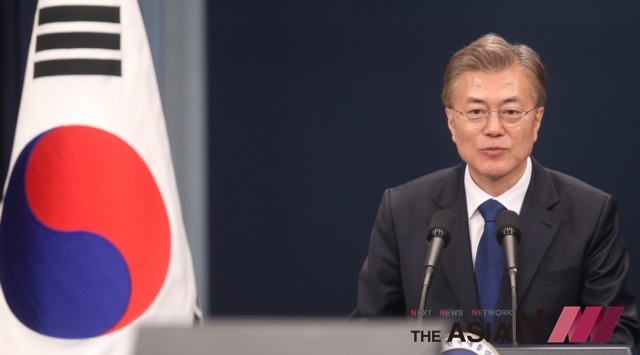 During his 15-minute talk, Moon further reiterated that his government will strengthen ties with the 10-member Association of Southeast Asian Nations (ASEAN), a crucial partner for Seoul with its geopolitical value, growth potential, and rich resources. “I am pleased to note that South Korea and Indonesia have constantly increased exchanges and cooperation since the two forged a strategic partnership in 2006,” Moon was quoted by his spokesman to have said during the phone call. The Indonesian government appreciates the relationship that has existed so far between Indonesia and the Republic of Korea. Korea has been Indonesia’s strategic partner since 2006 after which bilateral relations have continued to grow. President Joko Widodo ensured the Government of Indonesia’s commitment to continuously strengthen Indonesia’s strategic partnership with Korea and hoped to promote the implementation of a deeper and broader strategic partnership between both countries; for the benefit of each side. At the same time, President Moon expressed his belief that both countries will be able to strengthen bilateral relations. In particular, President Moon noted the progress of enthusiastic cooperation found in the field of the defense industry. Korea had previously paid high attention to the cooperation with ASEAN—in response, President Moon sent a special envoy to ASEAN to meet President Jokowi at the end of May 2017. Regarding the defense sector, especially in procurement of armaments, Indonesia and Korea have implemented Strategic Partnership by placing trust and confidence as the principle of bilateral cooperation. Currently, they are constructing three submarine units for the Navy accompanied by the transfer of technology to PT PAL. Indonesia is also the first buyer of T50 jet trainer products and is currently implementing a joint development program of KFX/IFX fighters. As of January of 2016, Seoul and Jakarta signed an 8.1 trillion won (US$7.1 billion) deal to jointly develop the KF-X/IF-X 4.5-generation, with Jakarta investing 1.7 trillion won—approximately 20 percent of the total cost. In the economic field, the cooperation between the two countries shows positive prospects. Korea’s investment in Indonesia currently ranks 4th with a total investment realization in 2016 of 1,065.8 million USD. In the trade sector, for Indonesia, Korea is the 6th largest export destination country, and the 5th largest import country of origin. For the tourism sector, tourists from Korea rank 6th in country of origin of foreign tourists who vacationed to Indonesia in 2016, amounting to 350 thousand persons. Tourists from Indonesia who vacation in Korea also continues to increase to nearly 300 thousand people each year. Korea is also one of the top places Indonesian students want to study abroad at; the current number of Indonesian students enrolled in various Korean universities reaches 1200 persons with an ever-increasing trend. Interestingly enough, Korea—the “ginseng country”—is actually home to many migrant workers. A total of 35 thousand Indonesian workers gain foreign exchange in various industries with equal treatment to that of local Korean employees. Such workers’ average monthly income is between Rp 20 to Rp 30 million. Cooperation between the two countries also occurred within the socio-cultural fields. For instance, exchange visits of cultural missions have been organized between the countries. South Korea is very active in organizing international promotional events throughout numerous cities in Korea and Indonesia has taken advantage of these events for national benefit. The biggest cultural promotional events so far have been the Korea Travel Fair, Hi Seoul, Busan Travel Fair, and the Busan Film Festival among others. In tandem, the number of Indonesian exchange students in Korea has been gradually increasing each year. In 2004, there were only a total of 70 Indonesian students, but that number soon increased to around 1200 students in January 2015. As part of celebrating the anniversary of diplomatic relations between Indonesia and Korea, on September 26, the Indonesian and Korean government promoted Indonesian films and K-pop. Each year, Korean singers have performed in such events to Indonesian audiences. Publicly, Indonesia and South Korea have enjoyed official relations since 1973. Both countries have benefited from cooperation in trade, investment, infrastructure development, and defense. The year 2013 was named, “The Friendship Year” between the countries, and in her annual press statement earlier this year, Indonesian Foreign Minister Retno Marsudi spoke of the country’s willingness to bolster “middle power” diplomacy. Indeed, diplomatic relations between Indonesia and Republic of Korea was first established in September 1973. The two countries believe that continuous and consistent efforts in strengthening relations and cooperation through concrete cooperation in various sectors are in their best interests. The two countries share many similarities such as both are democratic countries, are placed in strategic geographical locations, and are active in contributing and addressing global and regional challenges. President Moon will initiate steps to be taken with Indonesia and the ASEAN. The Indonesian leader congratulated Moon on his recent election victory, expressing his expectation for a thriving democracy in South Korea and for peace and prosperity on the Korean Peninsula under Moon’s leadership. And President Moon has said, “I and my government plan to strengthen the relationship to the level of four major powers … I hope that Indonesia, a leading ASEAN country, can work together with us to elevate the partnership (along with the ASEAN) to a higher level”. President Moon will actively act to be the preventer of diplomacy deadlock and will play a bridging role as the mediator between the two Koreas. Moon understands that that North Korea refuses to take head of the U.S., Russia, and China, but because the Kim regime views Southeast Asia as a more neutral party, this region may have a chance to give some friendly advice to improve North Korean relations. Such is an opportunity to unfreeze and unlock diplomacy for Moon to become the breakthrough diplomatic.